Business Wire: Aptina and Sony have signed a patent cross-license agreement, which provides each company with access to the other’s patent portfolio. The agreement enables the two companies to operate freely and use each other's patented inventions to advance the pace of development for cameras and other imaging applications. The cooperation fostered by the cross-license reinforces the ability of both companies to provide compelling imaging solutions to their customers. "Patents and innovation are a critical component of Aptina’s strategy, and Aptina’s patent portfolio is the largest and strongest in the image sensor industry," said Bob Gove, President and CTO of Aptina. "We believe that this powerful blend will advance technology to realize our goal of enabling consumers to capture beautiful images and visual information." Recently, there were two quite different overviews of camera phone industry published. The first one is published by AnandTech "Understanding Camera Optics & Smartphone Camera Trends" by Brian Klug. It goes briefly through various technical challenges in camera phone design. MIT’s Microsystems Technology Laboratory presents a processor optimized for computational photography tasks. 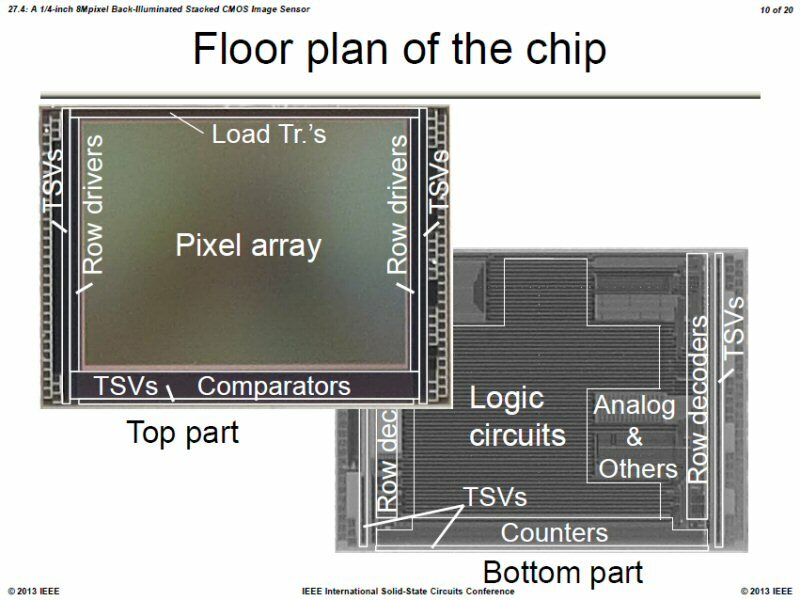 In one example, the chip can build a 10MP HDR picture combined out of 3 frames "in a few hundred milliseconds". Other examples include combination of two pictures with and without flash, adaptive brightening the dark parts of the picture, noise reduction with a bilateral filter, and more. 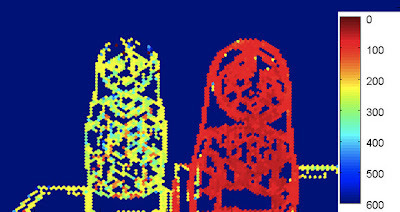 The chip offers a hardware solution to some important problems in computational photography, says Michael Cohen at Microsoft Research in Redmond, Wash. "As algorithms such as bilateral filtering become more accepted as required processing for imaging, this kind of hardware specialization becomes more keenly needed," he says. The power savings offered by the chip are particularly impressive, says Matt Uyttendaele, also of Microsoft Research. "All in all [it is] a nicely crafted component that can bring computational photography applications onto more energy-starved devices," he says. TechHive: Toshiba showed its recently announced light field camera to IDG News Service at its research laboratory in Kawasaki, just outside of Tokyo. The camera module measures about 8mm on each side of its cubical shape. It currently uses a 8MP image sensor to produce images with a resolution of 2MP at 30fps speed. "We use much of the data not for resolution, but for determining distance," said Hideyuki Funaki, a researcher at Toshiba. A future version of the module will use a 13MP sensor to produce light-field images with 5 or 6 MP resolution. Toward production of the new camera modules sometime in 2014, Toshiba is working to improve its algorithms, to attain better speed and distance accuracy as well as lessen the load on a phone’s central processor. Update: Toshiba Review, Oct. 2012 published a paper on this camera (in Japanese). Business Wire: Aptina announces Clarity+ technology that departs from the traditional RGB color filter approach to achieve more than double camera sensitivity and dramatically increase color and detail in low lit scenes. Clarity+ technology is said to improve performance of 1.1um sensors to surpass today’s top 1.4um BSI pixel sensors. 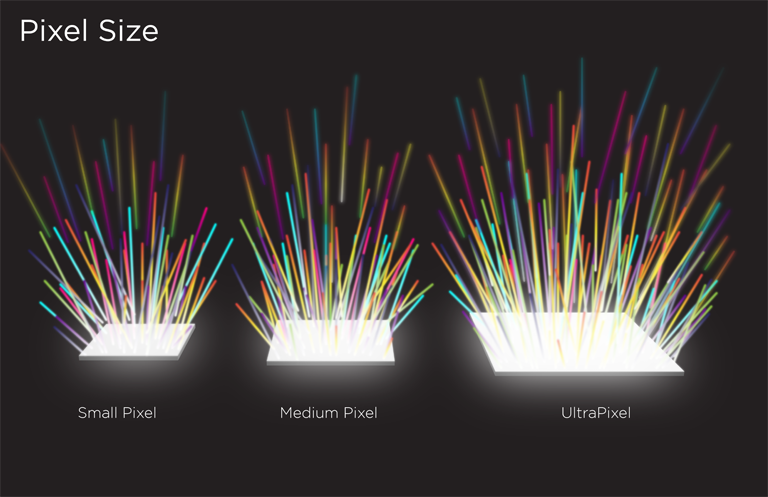 Further, leveraging Clarity+ technology with future generations of pixels, including 0.9um pixels, will power mobile phones to greater than 20-Megapixels. Attempts to advance the standard Bayer pattern, which has been the standard since the 1970s, have not been successful until now. Aptina Clarity+ technology combines CFA, sensor design and algorithm developments and is fully compatible with today’s standard sub-sampling and defect correction algorithms, which means no visible imaging artifacts are introduced. While BSI technology innovation drove 1.4um pixel adoption, Clarity+ technology will drive 1.1um pixel adoption into the smartphone market. Additionally, this technology works seamlessly with 4th generation Aptina MobileHDR technology, increasing DR for both snapshot and video captures by as much as 24dB. "Clarity+ technology enables a substantial improvement in picture clarity when capturing images with mobile cameras. While many others have introduced technologies that increase the sensitivity of cameras with clear pixel or other non-Bayer color patterns and processing, Aptina’s Clarity+ technology achieves a doubling of sensitivity, but uniquely without the introduction of annoying imaging artifacts," said Bob Gove, President and CTO at Aptina. 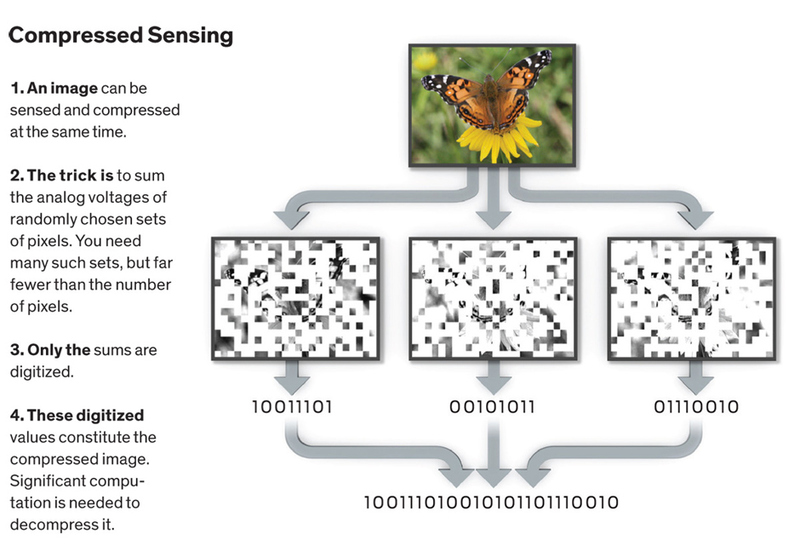 "This optimized performance is enabled by innovations in the sensor and color filter array design, along with advancements in control and image processing algorithms. Our total system approach to innovation has led prominent OEMs to confirm that Clarity+ technology has clearly succeeded in producing a new level of performance for 1.1um pixel image sensors. We see Clarity+ technology playing a significant role in our future products, with initial products in the Smartphone markets." Aptina will incorporate this innovative technology into a complete family of 1.1um and 1.4um based products addressing both front and rear facing applications. The AR1231CP 12MP, 1.1um mobile image sensor is the first sensor to support Clarity+ technology. This 1/3.2-inch BSI sensor 60fps at full resolution and supports 4K video at 30fps. The Aptina AR1231CP is now sampling. NIT announces WiDy SWIR camera based on InGaAs sensor operating in 900nm - 1700nm range. WiDy SWIR camera uses an InGaAs PD array of 320x256 25um pixels coupled to the NIT NSC0803 WDR ROIC. The DR range of the camera is said to exceed 140dB. IEEE Spectrum: Oike from Sony and Stanford University Prof. El Gamal design a compressive image sensor. 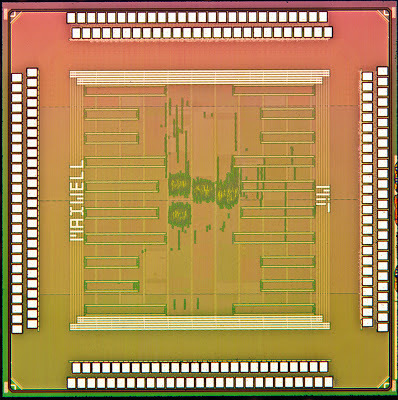 256- by 256-pixel image sensor contains associated electronics that can sum random combinations of analog pixel values as it’s making its A-to-D conversions. The digital output of this chip is thus already in compressed form. Depending on how it’s configured, the chip can slash energy consumption by as much as a factor of 15. The chip is not the first to perform random-pixel summing electronically, but it is the first to capture many different random combinations simultaneously, doing away with the need to take multiple images for each compressed frame. This is a significant accomplishment, according to other experts. "It’s a clever implementation of the compressed-sensing idea," says Richard Baraniuk, a professor of electrical and computer engineering at Rice University, in Houston, and a cofounder of InView Technology. 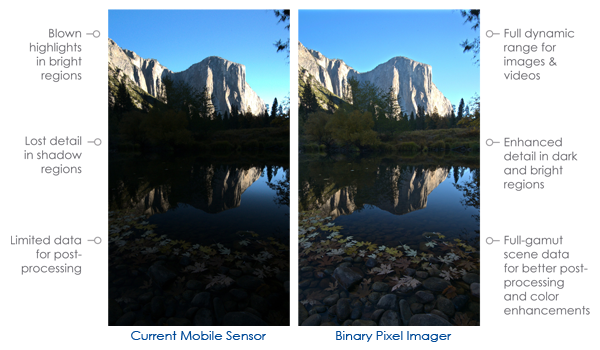 Business Wire: Rambus announces Binary Pixel technology including image sensor and image processing architectures with single-shot HDR and improved low-light sensitivity in video and snapshot modes. "Today’s compact mainstream sensors are only able to capture a fraction of what the human eye can see," said Dr. Martin Scott, CTO at Rambus. "Our breakthrough binary pixel technology enables a tremendous performance improvement for compact imagers capable of ultra high-quality photos and videos from mobile devices." 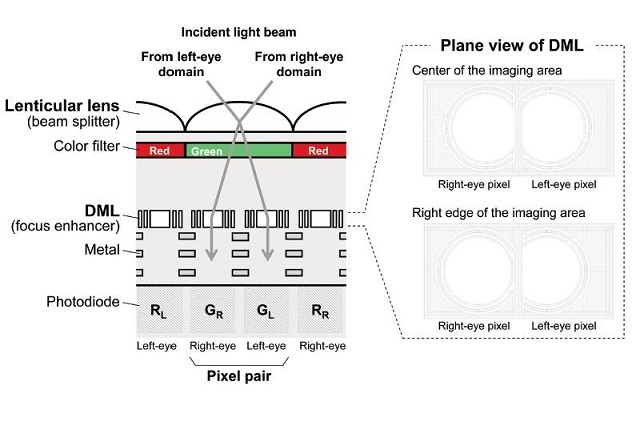 This binary pixel technology is optimized at the pixel level to sense light similar to the human eye while maintaining comparable form factor, cost and power of today’s mobile and consumer imagers. The sensor is said to be optimized at the pixel level to deliver DSLR-level dynamic range from mobile and consumer cameras. 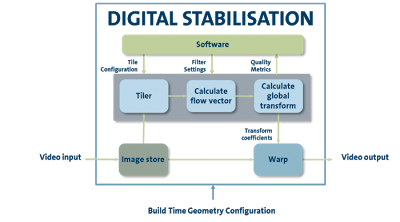 The Rambus binary pixel has been demonstrated in a proof-of-concept test-chip and the technology is currently available for integration into future mobile and consumer image sensors. Rambus published a demo video showing its Digital Pixel capabilities. Compound Eyes: from Biology to Technology workshop is to be held in Tübingen, Germany on March 26-28, 2013. The workshop will bring together students, researchers, and industry from Neuroscience, Perception, Microsystems Technology, Applied Optics, and Robotics to discuss recent developments in the understanding of compound-eye imaging, the construction of artificial compound eyes, and the application of artificial compound eyes in robotics or ubiquitous computing. 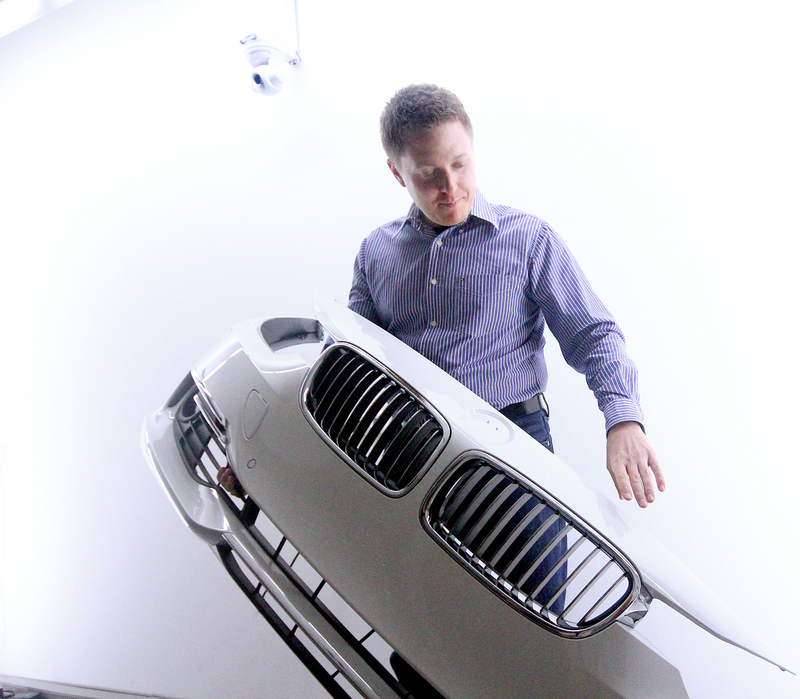 It will include a presentation and live demos of the CURVACE prototypes. ST announces VL6180 proximity sensor for smartphones offering "unprecedented accuracy and reliability in calculating the distance between the smartphone and the user". Instead of estimating distance by measuring the amount of light reflected back from the object, which is significantly influenced by color and surface, the sensor precisely measures the time the light takes to travel to the nearest object and reflect back to the sensor. This ToF approach ignores the amount of light reflected back and only considers the time for the light to make the return journey. ST’s solution is an infra-red emitter that sends out light pulses, a fast light detector that picks up the reflected pulses, and electronic circuitry that accurately measures the time difference between the emission of a pulse and the detection of its reflection. Combining three optical elements in a single compact package, the VL6180 is the first member of ST’s FlightSense family and uses the ToF technology. "This marks the first time that Time-of-Flight technology has been made available in a form factor small enough to integrate into the most space-constrained smartphones," said Arnaud Laflaquière, GM of ST’s Imaging Division. "This technology breakthrough brings a major performance enhancement over existing proximity sensors, solving the face hang-up issues of current smartphone and also enabling new innovative ways for users to interact with their devices." Update: ST backgrounder says that ST roadmap includes 2D and 3D ToF sensors. No other detail is disclosed. Business Wire: It's official now: Aptina uses TSMC 300mm wafer process. Aptina announces TSMC-manufactured 1080p/60fps video sensor with HDR capability. The 1/6-inch AR0261 features a 1.4um pixel and 4th generation MobileHDR technology. Additionally, gesture recognition and 3-D video capture are possible with AR0261. Accurate gesture recognition can be enabled by the fast frame rate, while Aptina’s 3-D technology synchronizes two AR0261 output data streams to work collaboratively for 3-D.
"Designers choosing the AR0261 will find new and exciting ways to enable users to interact with their favorite devices," said Aptina’s Roger Panicacci, VP of Product Development. "Gesture recognition, 3-D and HDR will open a whole new world of personal interaction with these devices." The AR0261 is sampling now and will be in production by summer of 2013.
Business Wire: Aptina announces 12MP AR1230 and 13MP AR1330 mobile sensors featuring 1.1um pixels. Both sensors feature 4th generation MobileHDR technology which is said to increase DR as much as 24dB. The AR1230 captures 4K video at 30fps as well as 1080P video up to 96fps. The AR1330 provides electronic image stabilization support in 1080P mode while capturing video in both 4K and 4K Cinema formats at 30fps. Additionally, both sensors support advanced features like super slow motion video, new zoom methodologies, computational array imaging and 3D image capture. "Built on Aptina’s smallest, and most advanced 1.1-micron pixel technology, the AR1230 and AR1330 image sensors provide the high resolution, impressive low-light sensitivity, and advanced features manufacturers of high end Smartphone are looking for," said Gennadiy Agranov, Pixel CTO and VP at Aptina. 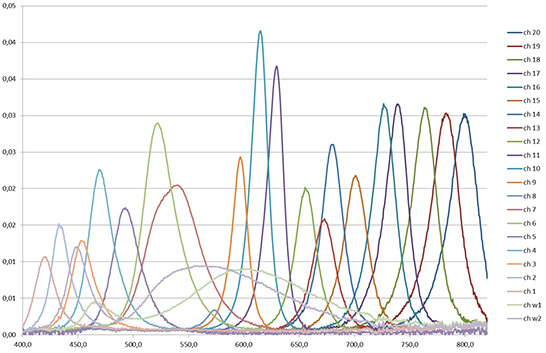 "These sensors are the first of a family of new, high quality 1.1-micron based products being sampled by our customers, and which Aptina will be delivering in the coming years." The AR1230 is now in production and is available for mass production orders immediately. 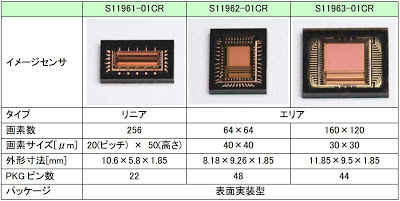 The TSMC-manufactured AR1330 is sampling now and will be in production by summer of 2013.
Business Wire: Toshiba announces a CMOS sensor technology with a small area and low power pixel readout circuits. A sample sensor embedded with the readout circuits shows double the performance of a conventional one (compared using FOM = power x noise / (pixels x frame rate)). Toshiba presented this development at ISSCC 2013 in San Francisco, CA on Feb. 20. Column CDS circuits primarily made up of area-efficient PMOS capacitors. The area of the CDS circuits is reduced to about half that of conventional circuits. In the readout circuits, a level shift function is simultaneously achieved by a capacitive coupling through the PMOS capacitors, allowing adjustment of the signal dynamic range between the column CDS circuits and the PGA and the ADC. This achieves low power and low voltage implementation of the PGA and ADC, reducing their power consumption by 40%. Implementation of a low power switching procedure in the ADC suited to processing the pixel signals of CMOS image sensors. This reduces the switching power consumption of the ADC by 80%. Toshiba has integrated the three technologies in a sample sensor and confirmed that they double the overall performance of the sensor core. The company now plans to use these innovations in CMOS sensors for low cost mobile phones and medical cameras in fiscal year 2013. Update: PRWeb: Pelican Imaging will be giving private demonstrations in Barcelona, February 25-28, 2013. Pelican Imaging’s camera is said to be 50% thinner than existing mobile cameras, and allows users to perform a range of selective focus and edits, both pre- and post-capture. "Our technology is truly unique and radically different than the legacy approach. Our solution gives users a way to interact with their images and video in wholly new ways," said Pelican Imaging CEO and President Christopher Pickett. "We think users are going to be blown away by the freedom to refocus after the fact, focus on multiple subjects, segment objects, take linear depth measurements, apply filters, change backgrounds, and easily combine photos, from any device." Scientific Detector Workshop is to be held on Oct 7-11, 2013 in Florence, Italy. Mark McCaughrean & Mark Clampin "Space Astronomy Needs"
Roland Bacon "MUSE - Example of Imaging Spectroscopy"
Ian Baker & Johan Rothman "HgCdTe APDs"
Rolf Kudritzki "Stellar Astrophysics: Perspectives on the Evolution of Detectors"
Jim Gunn "Why Imaging Spectroscopy?" Robert Green "Imaging Spectroscopy for Earth Science and Exoplanet Exploration"
L. Braga (FBK, Trento) "An 8×16 pixel 92kSPAD time-resolved sensor with on-pixel 64 ps 12b TDC and 100MS/s real-time energy histogramming in 0.13 um CIS technology for PET/MRI applications"
C. Niclass (Toyota) "A 0.18 um CMOS SoC for a 100m range, 10 fps 200×96 pixel Time of Flight depth sensor"
O. Shcherbakova (University of Trento) "3D camera based on linear-mode gain-modulated avalanche photodiodes"
Mark Foster, an assistant professor in the Department of Electrical and Computer Engineering at Johns Hopkins’ Whiting School of Engineering has developed a system that can continuously record images at a rate of more than 100 million frames per second and has been awarded the National Science Foundation’s Faculty Early Career Development (CAREER) Award, a five-year, $400,000 grant. The resolution of the camera is not stated. 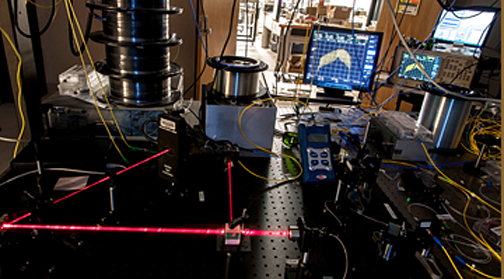 Foster, who came to Johns Hopkins in 2010, works in the area of non-linear optics and ultra-faster lasers – measuring phenomena that occur in femtoseconds. "With this project, we hope to create the fastest video device ever created," he explained. Unfortunately, Mark Foster's home page has no explanation on how the new camera works. His publications page mostly links to high-speed optical communication papers, rather than imaging. at more than 100 million frames per second. Panasonic plans to use this technology in industrial and mobile products appearing in 2014. Nvidia has recently announced a name to its Computational Photography Architecture - Chimera, used in Tegra 4 family of application processors. HDR is the main differentiation of this technology, including hardware-assisted HDR panorama stitching. The image sensor partners announced at the launch are Sony with IMX135 13 MP stacked sensor and Aptina with AR0833 1/3-inch 8MP BSI sensor. Business Wire: Aptina says that its MobileHDR technology enables Chimera architecture support. MobileHDR technology is integrated into a number of Aptina’s high-end current and future mobile products including the AR0835 (8MP), AR1230 (12MP), and the AR1330 (13MP). in the paint to the QS inspection system, store it and document it. From what Albert writes, I'd bet that Olympus was granted an early access to Sony stacked sensor process, so that both presentations rely on the same technology. 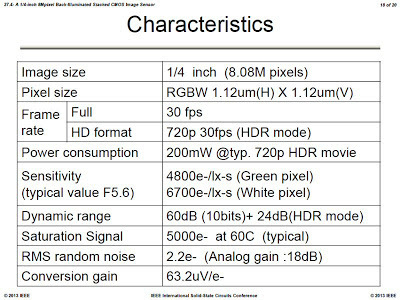 Tech-On published an article and few slides from the Sony 8MP, 1.12um-pixel stacked sensor presentation at ISSCC 2013. The 90nm-processed pixel layer has only high voltage transistors and also contains row drivers and the comparator part of the column-parallel ADCs, with TSV interconnects on the periphery. The bottom logic area is processed in 65nm with LV and HV transistors, and integrates the counter portion of the column ADCs, row decoders, ISP, timing controls, etc. Tech-On article shows many more slides from the presentation. 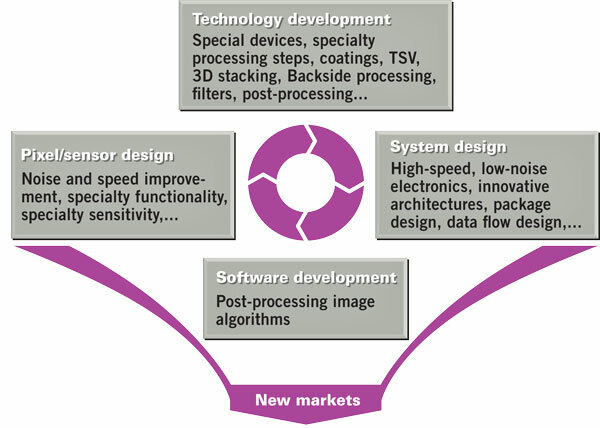 PRNewswire: "Image Sensors Market Analysis & Forecast (2013 - 2018): By Applications (Healthcare (Endoscopy, Radiology, Ophthalmology), Surveillance, Automobile, Consumer, Defense, Industrial)); Technology (CCD, CMOS, Contact IS, Infrared, X-Ray) And Geography", published by MarketsandMarkets, the value of image sensor market was $8.00 billion in 2012 and is expected to reach $10.75 billion in 2018, at an estimated CAGR of 3.84% from 2013 to 2018. For comparison, the global semiconductor sales in 2012 were $291.6 billion, according to SIA. 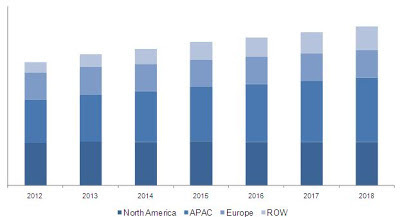 In terms of volume, the total number of image sensors shipped is estimated to be 1.6 billion in 2013 and is expected to reach 3 billion by 2018. Nikon follows Fujifilm steps and abandoning optical low-pass filter in its new 24.1MP DX-format DSLR D7100. Nikon's PR says: "The innovative sensor design delivers the ultimate in image quality by defying convention; because of the high resolution and advanced technologies, the optical low pass filter (OLPF) is no longer used. Using NIKKOR lenses, the resulting images explode with more clarity and detail to take full advantage of the 24.1-megapixel resolution achieved with D7100’s DX-format CMOS sensor." No further details of these "advanced technologies" are given so far. Electronics Weekly, AllThingsD: Intel intends to sell set top boxes equipped with a camera. It's said be able to identify each individual watcher in front of a domestic TV. The information gathered will allow companies to target advertising at specific telly-watching individual. The box will be sold by mysterious Intel Media division. Erik Huggers, VP of Intel Media, says that it delivers a TV which "actually cares about who you are". Intel says several hundred of its employees are currently testing the box in their homes and it hopes to launch the service this year. In order to make a reliable recognition of a watcher, the STB camera needs to have quite a high resolution and a good low light sensitivity. If Intel's approach is widely adopted, STBs might become a next big market for image sensors. 8M units in the first 60 days of sales (Nov-Dec 2010). So, it appears to be a significant slowdown in Kinect sales. 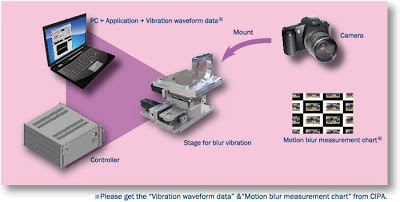 Japan-based Kohzu announces two new products: an Image Sensor 6-axes Alignment Unit and an image stabilization tester. 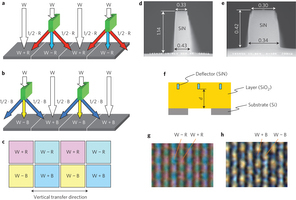 Eureka, Business Wire: JKU and Optics Express announce a new paper "Towards a transparent, ﬂexible, scalable and disposable image sensor using thin-ﬁlm luminescent concentrators" by Alexander Koppelhuber and Oliver Bimber. The approach has already been covered in this blog. Alexander Koppelhuber's MSc thesis on the same matter can be downloaded here. 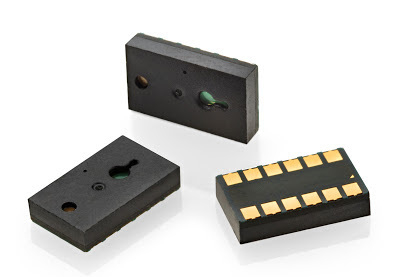 DOC’s mems|cam modules are said to deliver industry leading AF speed. A fast settling time (typically less than 10 ms) combined with precise location awareness results from MEMS technology. DOC’s MEMS autofocus actuators operate on less than 1mW of power(roughly 1% of VCM), thereby extending battery life and reducing thermal load on the image sensor, lens, and adjacent critical components. 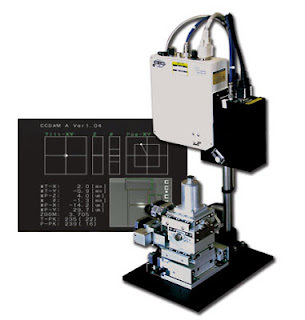 Manufactured with semiconductor processes, DOC’s silicon actuators deliver precise repeatability, negligible hysteresis, and millions of cycles of longevity, ensuring high quality image and video capture for the life of a product. Combined with DOC’s optics design and flip chip packaging, the camera module z-height is just 5.1mm. DigitalOptics is initially targeting smartphone OEMs in China for its mems|cam modules. "Smartphone OEMs in China are driving innovative new form factors, features, and camera functionality," said Jim Chapman, SVP sales and marketing at DigitalOptics Corporation. "These OEMs recognize the speed, power, and precision advantages of mems|cam relative to existing VCM camera modules." "We have a strategic relationship with DigitalOptics for mems|cam modules, having recognized the potential advantages of implementing a mems|cam module into our handsets," said Zeng Yuan Qing, vice general manager of Guangdong Oppo Mobile Telecommunications Corp., Ltd, a Chinese smartphone OEM. Thanks to SF and LM for the links! HTC One smartphone features UltraPixel camera "that includes a best-in-class f/2.0 aperture lens and a breakthrough sensor with UltraPixels that gather 300 percent more light than traditional smartphone camera sensors. This new approach also delivers astounding low-light performance and a variety of other improvements to photos and videos." 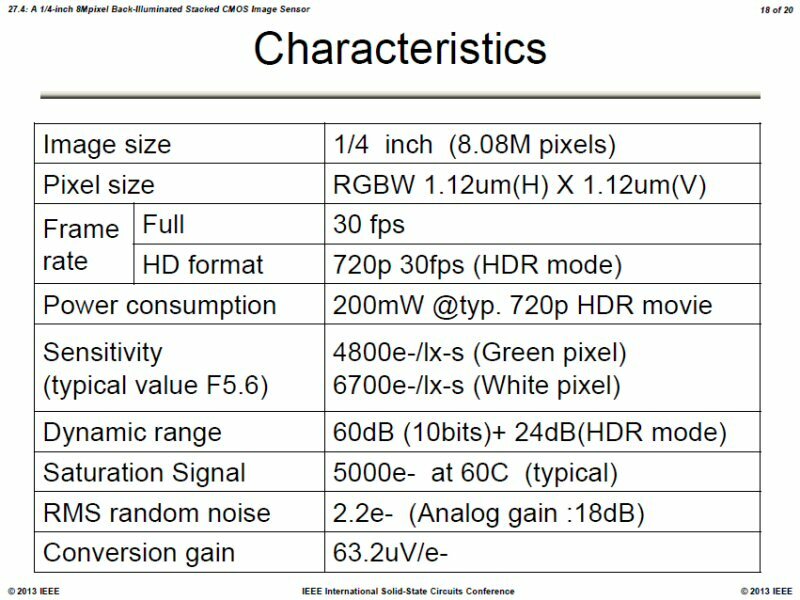 The camera spec does not tell how many pixels the camera has, saying instead that the sensor is of BSI type, has 2.0um pixels and 1/3-inch format. The camera has F2.0 lens with OIS. Both front and back cameras support HDR in stills and video mode. 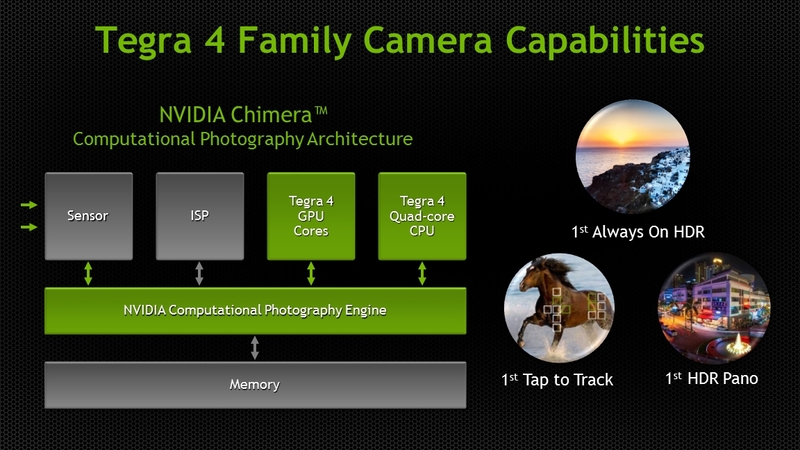 Once we talk about HDR, the new Nvidia's Tegra 4i is the second application processor that supports "always-on HDR" imaging. Update: CNET published HTC's director of special projects Symon Whitehorn comments on why HTC flagship smartphone has only 4MP resolution: "It's a risk, it's definitely a risk that we're taking. Doing the right thing for image quality, it's a risky thing to do, because people are so attached to that megapixel number." UK-based RFEL announces Video Stabilization IP Core, designed to work on all suitable major FPGAs, although additional performance is available for Xilinx Zynq-7000 SoC devices only. The Stabilization Core applications examples include: driving aids for military vehicles, diverse airborne platforms, targeting systems and remote border security cameras. The IP core corrects two-dimensional translations and rotations, from both static and moving platforms. The frame rates are up to 150fps for resolutions of up to 1080p including both daylight and infrared cameras. The accuracy of image stabilization, has been shown to be better than ± 1 pixels, even when subjected to random frame-to frame displacements of up to ± 25 pixels in the x and y directions and with a frame-to-frame rotational variation of up to ± 5deg. Q: You have been involved in CMOS development since the beginning at JPL, what are the key development milestones you have witnessed? A: "I think the key development milestones were; An introduction of the pinned photodiode (that was commonly used for the interline transfer CCDs) to the CMOS pixel, a shared pixel scheme for pixel size reduction and improvements in FPN suppression circuitry. 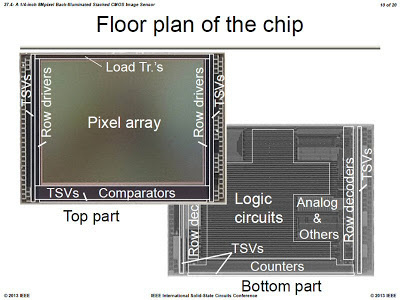 By the way, I consider then R&D efforts on on-chip ADC at JPL (led by Dr. Eric Fossum) was the origin of the current success of the CMOS image sensor. Another aspect is; Big semiconductor companies acquired key start-up companies in late 1990's - early 2000's to establish CMOS image sensor business quickly. Examples include; STMicro acquired VVL, Micron acquired Photobit and Cypress acquired FillFactory. Also, the biannual Image Sensor workshop has been playing an important role to share and discuss progress in CMOS imaging technologies." Q: CMOS performance continues to improve with each new generation - what's the current R&D focus at Aptina? A: "High-speed readout, while improving noise performance together, is the strength in our design. We will continue to focus on this. At the same time, our R&D group in the headquarter in San Jose focuses on pixel performance improvements." Chipworks got a hold of Sony stacked sensor, the ISX014. The 8MP sensor features 1.12um pixels and integrated a high speed ISP. 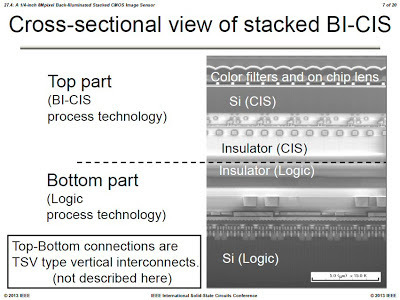 Chipworks says: "A thin back-illuminated CIS die (top) mounted to the companion image processing engine die and vertically connected using a through silicon via (TSV) array located adjacent to the bond pads. 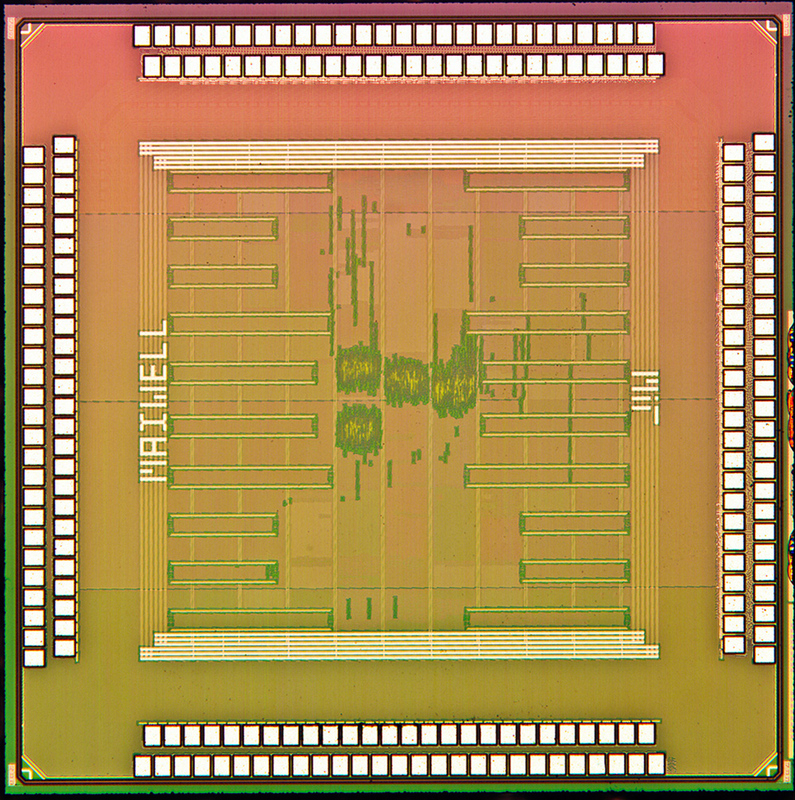 A closer look at the TSV array in cross section shows a series of 6.0 µm pitch vias connecting the CIS die and the image processing engine." Thanks to RF for updating me! Tensilica announces IVP, an imaging and video dataplane processor (DPU) for image/video signal processing in mobile handsets, tablets, DTV, automotive, video games and computer vision based applications. "Consumers want advanced imaging functions like HDR, but the shot-to-shot time with the current technology is several seconds, which is way too long. Users want it to work 50x faster. We can give consumers the instant-on, high-quality image and video capture they want," stated Chris Rowen, Tensilica’s founder and CTO. The IVP is extremely power efficient. As an example, for IVP implemented in an automatic synthesis, P&R flow in 28nm HPM process, regular VT, a 32-bit integral image computation on 16b pixel data at 1080p30 consumes 10.8 mW. The integral image function is commonly used in applications such as face and object detection and gesture recognition. Tensilica also announced a number of alliances with software vendors Dreamchip, Almalence, Irida Labs, and Morpho. EETimes talks about a battle between Tensilica and Ceva imaging IP cores. No clear winnder is declared, but Tensilica IVP is said to have more processing power. Another EETimes article talks about ISP IP applications and requirements. Market Wire: InVisage announces its Series D round of venture funding, led by GGV Capital and including Nokia Growth Partners. The undisclosed amount will be used to begin manufacturing the company's QuantumFilm image sensors, which are currently being evaluated by phone manufacturers. Devices incorporating the technology are expected to ship in Q2 2014. GGV and Nokia Growth Partners join InVisage's existing investors RockPort Capital, InterWest Partners, Intel Capital and OnPoint Technologies. "InVisage is poised to make a tremendous impact on consumer devices and end users with its QuantumFilm image sensors," said Thomas Ng, founding partner, GGV Capital. "The innovative QuantumFilm technology from InVisage has the potential to disrupt the market for silicon-based image sensors," said Bo Ilsoe, managing partner of Nokia Growth Partners. "Imaging remains a core investment area for NGP, and it is our belief that InVisage's technology will change how video and images are captured in consumer devices." "The participation of new investors, including a major handset maker, in this round signals that imaging is a critical differentiator in mobile devices," said Jess Lee, Invisage CEO. 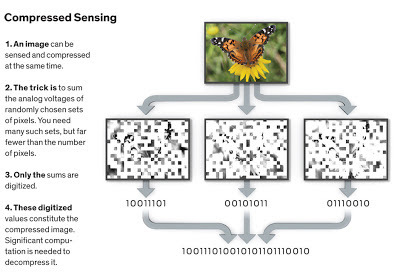 "For too long, the image sensor industry has lacked innovation. We are excited to bring stunning image quality and advanced new features that will truly transform this industry." InVisage QuantumFilm is said to be the world's most light-sensitive image sensor for smartphones. Compared to current camera technologies, the QuantumFilm is said to provide incredible performance in the smallest package, making picture-taking foolproof, even in dimly lit rooms. Figure 1: Operational principle of a symmetric deflector. a, The symmetric deflector has a plate-like structure and is composed of a transparent medium that has a higher refractive index than the surrounding material. When light enters a symmetric deflector of width w and length l, a phase difference δ develops between the light propagated through the deflector and the light propagated through the surrounding volume. If δ is an even multiple of π, the transmitted light is undeflected (arrow U), and if δ is an odd multiple of π, the transmitted light is deflected at equal ± angles (arrows +D and −D). The phase difference δ rises and falls as a function of wavelength λ, so the ratio between the amount of undeflected light and the amount of ± deflected light varies depending on λ. b, Plot of the cross-sectional refractive index distribution for a symmetric deflector. Shape and position of the deflector: w = 0.28 µm, l = 1.20 µm, d = 2.00 µm. 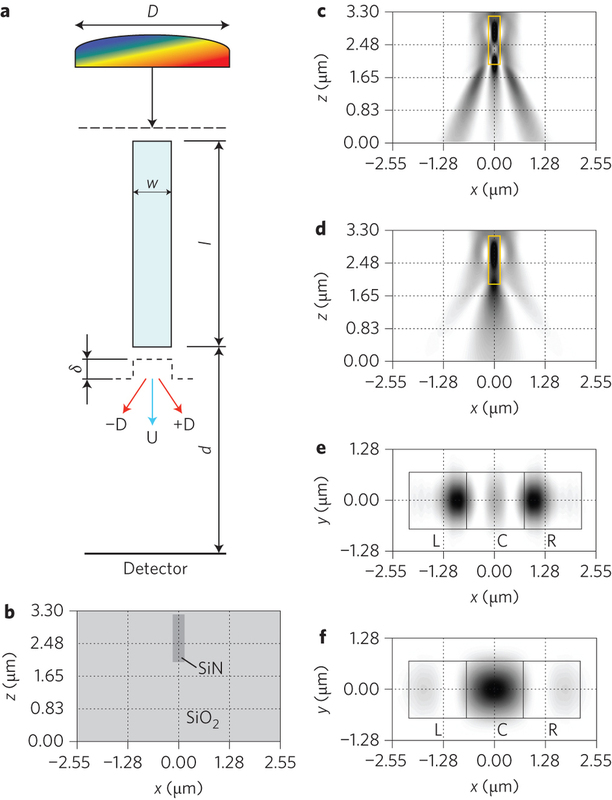 Refractive indices of the deflector medium (SiN) and the surrounding medium (SiO2): n = 2.03 and 1.46. c,d, Plots of cross-sectional light intensity distribution for a symmetric deflector with λ = 430 nm (c) and λ = 600 nm (d). The Gaussian beam has a waist diameter D (full width at 1/e2 maximum) of 1.43 µm. As the wavelength increases, deflected light becomes undeflected. e,f, Plots of light intensity distribution at the detector surface for a symmetric deflector for λ = 430 nm (e) and λ = 600 nm (f). Three 1.43 µm × 1.43 µm detectors (R, C and L) are placed next to one another on the detecting surface. 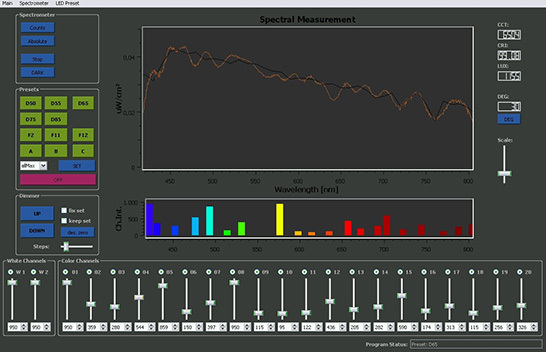 As the wavelength increases, the spots on the detector move towards the centre. Q: sCMOS claims many advantages compared to more traditional technologies, are there any drawbacks or areas for further research? A: "I would say that nature doesn't make it easy for you. Certainly there are features that can be improved, for example the blocking efficiency or shutter ratio can be improved, as well some cross talk and as well some lag issues could be improved, but I guess sCMOS has this in common with every new technology. I don't know any new technology, which was perfect from the start." Q: This technology has been on the market for several years now, what have you learned over this time, and how have you optimized your camera systems? A: "Since many of our cameras are usually used for precise measurements, we know and learned a lot about the proper control of these image sensors and how each camera has to be calibrated and each pixel has to be corrected. I will address in my presentation some of these issues and show how we have solved it. Further there some characteristics in the noise distribution, that has to be considered." Q: There's a lot of discussion around multi-aperture imaging right now - the concept has been around for a long time, why do you think it's a hot topic right now? A: "...Sensors, optics and image processors have been around for quit some time now yet no array camera has been commercialized. ...Multi aperture cameras require heavy processing which was not available on mobile devices until now. 20 years ago we would have needed a super computer to process an image from a multi aperture camera. I think the timing is right due to a combination of technology matureness and market demand..."
Q: Will we see your technology in a commercialized form soon? A: "Yes. You will. We are devoting all our resources and energy in to commercializing our technology. There are plenty of challenges related to manufacturing of the optics, sensors, module assembly and software optimization, all which require time, hard work and plenty of creativity which is what makes our life fun." PR.com: CTO, Charles McGrath states that, "we can get the retail price of the Mμ Thermal Imager down to $325 initially and with enough orders from the big box retailer we think we may even cut that price considerably. Another goal is to double the resolution within a year." Business Wire: Tessera announces that John S. Thode has been appointed president of DigitalOptics Corporation (DOC). Thode will report to Robert A. Young, president and CEO of Tessera. "DOC has a unique and differentiated MEMS approach to smartphone camera modules that I believe has the potential to revolutionize mobile imaging," said Thode. "I look forward to working with the team to deliver MEMS autofocus camera modules to market and to build on DOC’s emerging role in this exciting space." Thode, 55, was most recently EVP and GM at McAfee. Before that, Thode was GM of Dell’s Mobility Products Group where he was responsible for leading the strategy and development of Dell’s nontraditional products, including smartphones and tablets. Prior to Dell, Thode was president and CEO at ISCO, a telecom infrastructure company. Thode also spent 25 years with Motorola in various management roles, including GM of its UMTS Handset Products and Personal Communications Sector and GM of its Wireless Access Systems Division in its General Telecoms Systems Sector. Business Wire: Tessera announces Q4 and 2012 earnings. In Q4 DOC revenue was $10.2M, compared to $7.7M a year ago. The increase was due primarily to sales of fixed focus camera modules of $3.8M that occurred in 2012 but did not occur in 2011, which was partly offset by lower revenues from the company’s image enhancement technologies and weaker demand for the company’s Micro-Optics products. Fore the full year 2012, DOC revenue was $41.1M. Thanks to SF for the links! Dartmouth reports that its Professor of Engineering Eric Fossum has been elected to The National Academy of Engineering (NAE)—a part of the National Academies, which includes the NAE, the National Academy of Sciences (NAS), the Institute of Medicine (IOM), and the National Research Council (NRC). 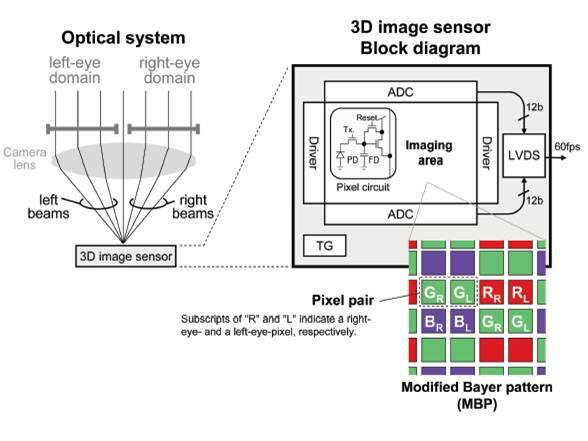 The NAE cites Fossum’s principal engineering accomplishment to be "inventing and developing the CMOS active-pixel image sensor and camera-on-a-chip." "It is truly an honor to be recognized at this level by my fellow engineers," says Fossum. "I am regularly astonished by the many ways the technology impacts people’s lives here on Earth through products that we didn’t even imagine when it was first invented for NASA. I look forward to continuing to teach and work with the students and faculty at Dartmouth to explore the next generation of image-capturing devices." Fossum has published more than 250 technical papers and holds over 140 U.S. patents. He is a Fellow member of the IEEE and a Charter Fellow of the National Academy of Inventors. He has received the IBM Faculty Development Award, the National Science Foundation Presidential Young Investigator Award, and the JPL Lew Allen Award for Excellence. "This is the highest honor the engineering community bestows," says Thayer School Dean Joseph Helble, "It recognizes Eric’s seminal contributions as an engineer, technology developer, and entrepreneur. His work has enabled microscale imaging in areas that were unimaginable even a few decades ago, and has led directly to the cellphone and smartphone cameras that are taken for granted. We are honored to have someone of his caliber to oversee our groundbreaking Ph.D. Innovation Program." "Our CMOS image sensors delivered a phenomenal growth during the fourth quarter of 2012, mainly due to numerous design-wins in smartphone, tablet, laptop and surveillance applications. We currently offer mainstream and entry-level sensor products with pixel counts of up to 5 mega and are on track to release a new 8 mega pixel product soon. However, the Q1 prospect for CMOS image sensor looks gloomy as China market is going through correction and many of the customers adopting our new sensor products are still finishing up their product tuning. Notwithstanding the short-term downturn, we do expect the sales of this product line to surge in 2013, boosted by shipments of our new products, many of which were only launched in the second half of last year. We also expect to break into new and leading smartphone brands and further penetrate the tablet, IP Cam, surveillance and automotive application markets." Chipworks: The Z10 smartphone that is supposed to begin Blackberry comeback, relies on Aptina's secondary front sensor and Omnivision's OV8830 BSI-2 primary sensor. The primary camera ISP is Fujitsu Milbeaut MB80645C, typically used in DSCs. 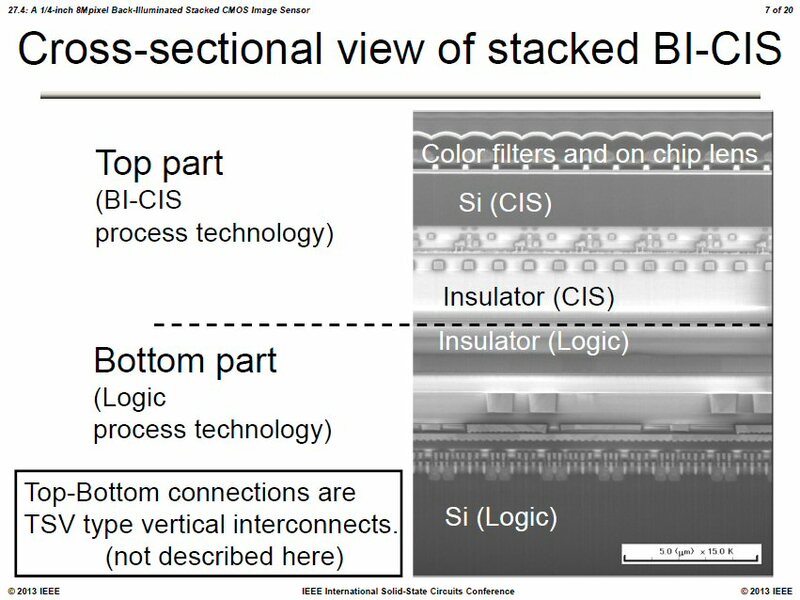 "The first fab [BSI] chip demonstrated good image quality, the complete BSI process technology is targeted to contribute revenue in 2014. This will serve the market for higher resolution of phone cameras and high performance video cameras." "Indeed I think the CIS already is a significant portion of our revenue. The CIS, so after – at last year, it is near to between 5% to 7.5% of our revenue coming from the CIS, okay. And BSI, we expect that definitely will enlarge our access to this market. We believe that by fairly 2014, we should have a reasonable amount of our CIS that comes with BSI technology." The reported annual revenue is $1.7B, thus CIS sales are about $100M. Image sensors are named as one of the main areas that contributed to 2012 revenue growth. As EF mentioned in comments, it looks like IISW 2013 is oversubsribed by now. Digitimes reports that the tight supply of VCMs is expected to start easing in Q2 2013, as demand for lens modules has declined recently, while major VCM makers including Shicon, TDK, LG-Innotek and Hysonic are ramping up their production. Pocket Lint started the rumor that HTC oncoming M7 smartphone with feature image sensor with "ultrapixels". The HTC M7 sensor will be made up of three 4.3MP sensor layers stacked on top of each other, each sensing a different color. If true, it might represent an interesting cross between Sony stacked sensor and Foveon technologies. The new smartphone is expected to be officially announced on Feb. 19. Location of R-deflectors and detectors in the two-deflector method. Micro color splitters can simply replace the color filters in conventional image sensors, and are not dependent on the type of image sensor (CCD or CMOS) underneath. 2013 International Image Sensors Workshop pre-registration form posted and open. Registration is limited to about 140 attendees on a first-come first-served basis (mostly). On the past workshops, the capacity was filled within few days, so hurry up. 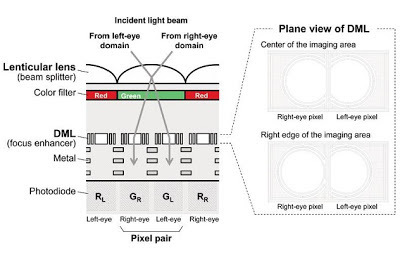 Hamamatsu Photonics announces three image sensors that feature a high-speed charge transfer structure in each pixel to enable high-precision ToF distance measurements. 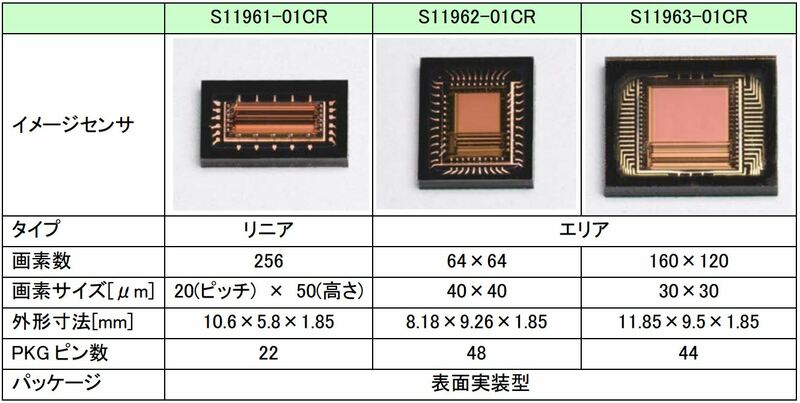 The S11961-01CR is said to be the industry’s first linear image sensor for ToF distance measurement, and the S11962-01CR and S11963-01CR are area image sensors for 3D distance-measuring cameras. In addition to conventional detection tasks such as detecting the presence of people or obstacles, the new image sensors provide various types of added functionality including distance measurement and shape detection. They have been designed for use in a wide variety of applications, such as automotive systems for detecting people or obstacles, object detection in semiconductor wafer transfer systems, shape detection by industrial robots, and intruder detection by security systems. Samples of the new distance linear/area image sensors will be available from February 1, 2013. 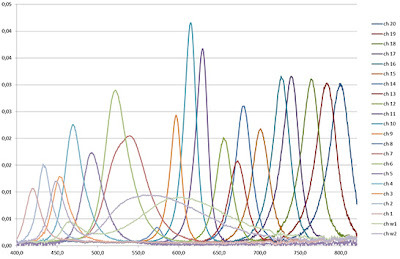 Rather than to achieve a high sensitivity measurement can detect a weak signal light, stability can be used. Market Wire: Peripheral Vision, Inc. introduces its ISOLIGHT light metering system that improves the quality and constancy of camera test images. It is important that test charts be evenly illuminated when capturing images; uneven illumination introduces error in measurements. Today's standard approach of using a hand-held light meter presents several problems, including shadows, distortion and difficulty in adjusting lights or positioning the meter. ISOLIGHT eliminates these issues by allowing a single person to continuously measure and monitor the absolute illumination level and uniformity without an assistant, ensuring that testing is accurate and well documented. The ISOLIGHT light metering system consists of a holder for a test chart, four light sensors positioned at the chart corners and two different displays indicating the light level at each sensor. An LCD displays the light level as measurements or as bar graphs. Multi-color LED rings around each sensor simultaneously indicate whether the illumination at each sensor is too high, too low or within acceptable tolerances. 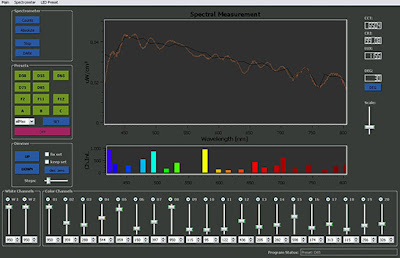 A key feature is that the chart's readout displays are visible in the test images, making it easy to verify that illumination was both at the correct level and acceptably uniform. Finally, a 100 LED chaser bar lets the user measure the image exposure time, frame rate, dropped frames and frame-rate jitter. Synchronized audio output enables testing of audio/video capture synchronization. ISOLIGHT is colored an industry-standard 18 percent gray to prevent distorting test scene color and camera performance. 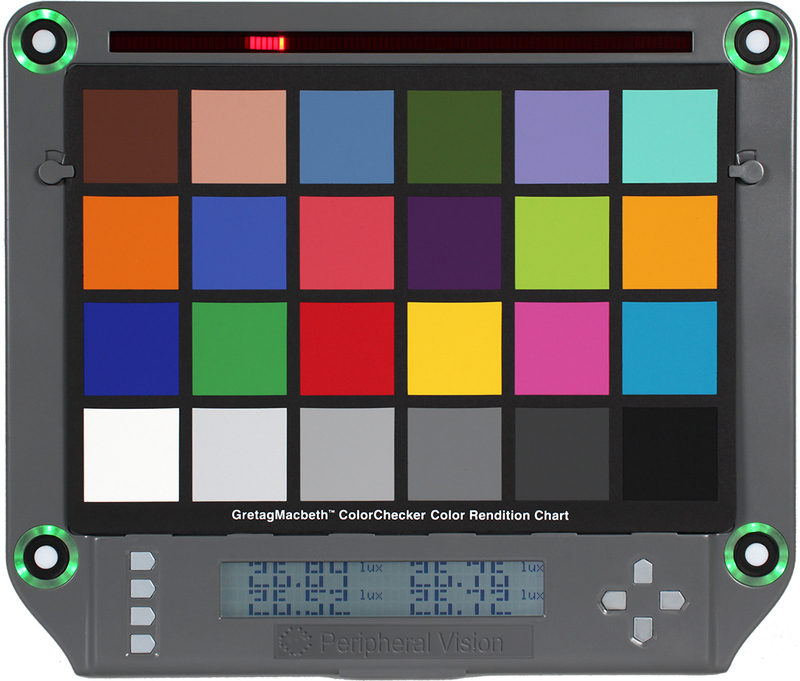 It safely holds standard-sized color test charts, as well as larger and smaller charts. The device offers multiple mounting options including tripod, wall hanging, table-top use and integral magnets for mounting to light booth walls.